We are getting use to this latest run of dull murky days and this walk would be undertaken on yet another day of gloomy skies, a hint of drizzle in the air and poor visibility. So it was just seven of us set off through Sefton Park on the southern outskirts of Liverpool at 9.30am on this Saturday morning. This large park covers 235 acres and was purchased from Lord Sefton in 1867 for £250,000 which in those days was a lot of money. In those days it was thought necessary to provide open spaces where local residents could breathe the fresh air away from the squalor of the cramped housing in Toxteth. The park was later surrounded by grand Victorian and Edwardian houses. 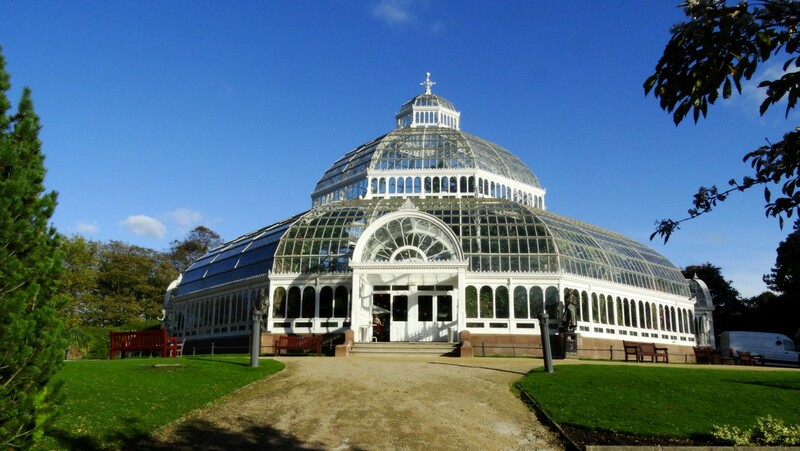 We made a small diversion early on to visit the Palm House in Sefton Park which wasn’t officially open but we were allowed in for a quick look. It was lovely and warm inside but we were soon back out in the cold. The Palm House is a Grade II three-tier dome conservatory designed and built by MacKenzie and Moncur of Edinburgh which opened in 1896. Liverpool millionaire Henry Yates Thompson gifted £10,000 to the city to fund the construction. It was designed in the tradition of Joseph Paxton’s glass houses and was stocked originally with a rich collection of exotic plants. During the Liverpool Blitz of May 1941 a bomb fell nearby and shattered the glass. It was re-glazed in 1950 at a cost of £6,163 with costs covered by War Restoration funds. A period of decline and deterioration culminated in its closure in the 1980s on grounds of safety but the building was restored and reopened in 2001. We continued through Sefton Park alongside the boating lake and later walked via the wooded valley of the former Otterspool Creek. This little valley probably once was a tidal creek used by fishermen hundreds of years ago. Reaching the Mersey Waterfront we turned right along the promenade. The weather now looked so murky and even the far bank of the Mersey merged into the morning gloom. At least the drizzle was in our backs and we set a good pace towards Liverpool. A few people were out walking dogs together with a few joggers and plenty of speeding cyclists. Below Dingle we stopped for our morning coffee break in the gloom. The tide was well up and the fresh breeze was occasionally throwing a little spray onto the promenade. We soon pressed on towards Liverpool but the greyness of the day wasn’t warranting any stops for photographs. At least I was able to take several photographs on the reconnoitre when I walked it late last year. By late morning we were at the Albert Dock and here there were a few more people but again the place wasn’t that busy. Near the Tate Gallery we passed at a new feature which was being photographed by a number of people. 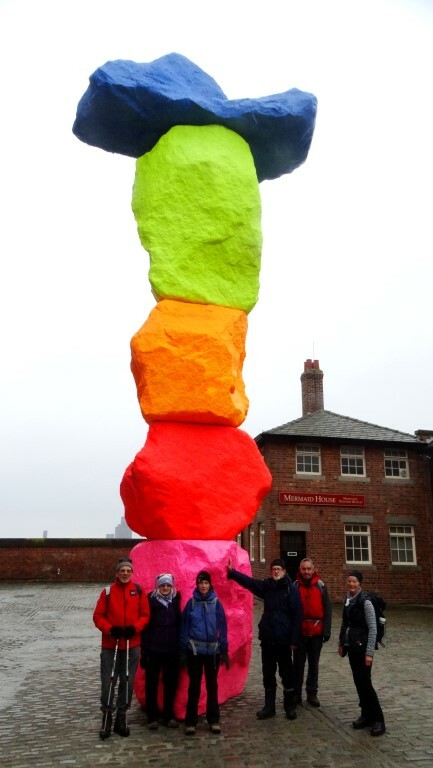 A stack of large rocks all very brightly painted and called ‘The Liverpool Mountain’ was a new addition to modern art here. This new piece of art work was made by Swiss artist Ugo Rondinone and will be on display for a couple of years. 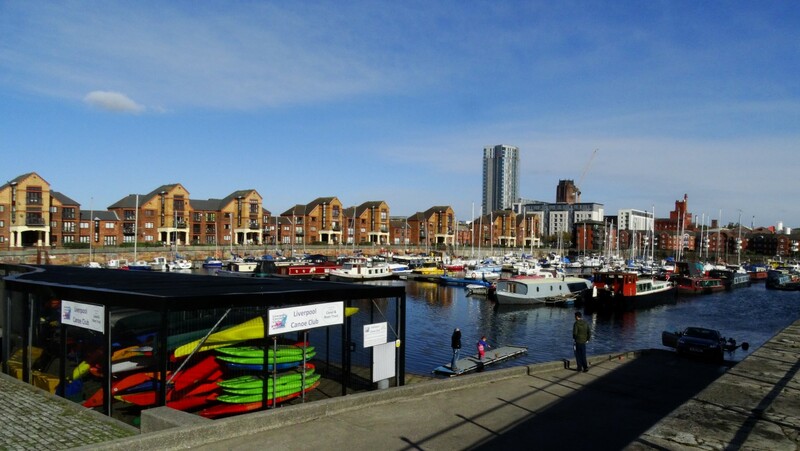 We continued north to reach the Pier Head where there were a few seats for our lunch stop. It was still early and not even twelve noon but this was a good opportunity to stop before heading in through the dark alleys of Liverpool. But the only downside here was the number of pigeons and raucous seagulls. Nearby, the clock on the Royal Liver building was striking twelve noon. 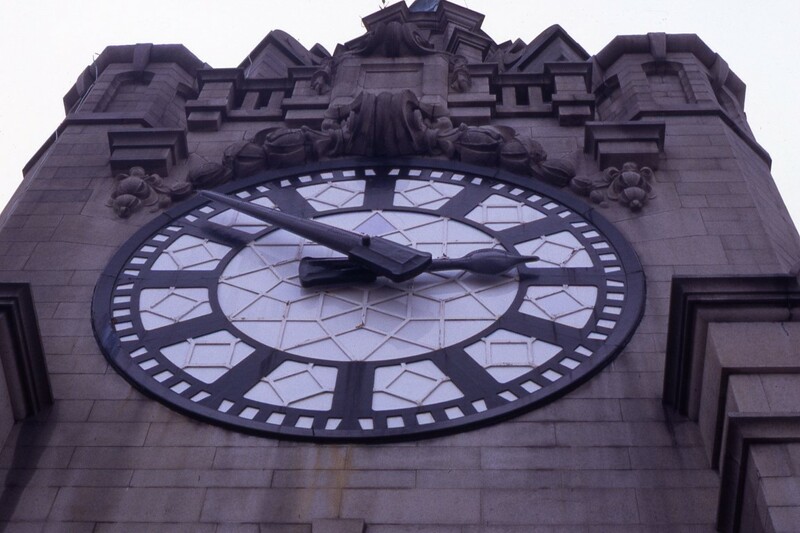 The clock faces are the largest in the UK (larger than that famous tower in London) and the minute hand alone is 14ft long. The Royal Liver Building is a fascinating building in itself and along with the neighbouring Cunard Building and Port of Liverpool Building is one of Liverpool’s Three Graces. Opened in 1911, the building is the purpose-built home of the Royal Liver Assurance group, which had been set up in the city in 1850 to provide locals with assistance related to losing a wage-earning relative. One of the first buildings in the world to be built using reinforced concrete, the Royal Liver Building stands at 322 ft tall to the top of the spires. 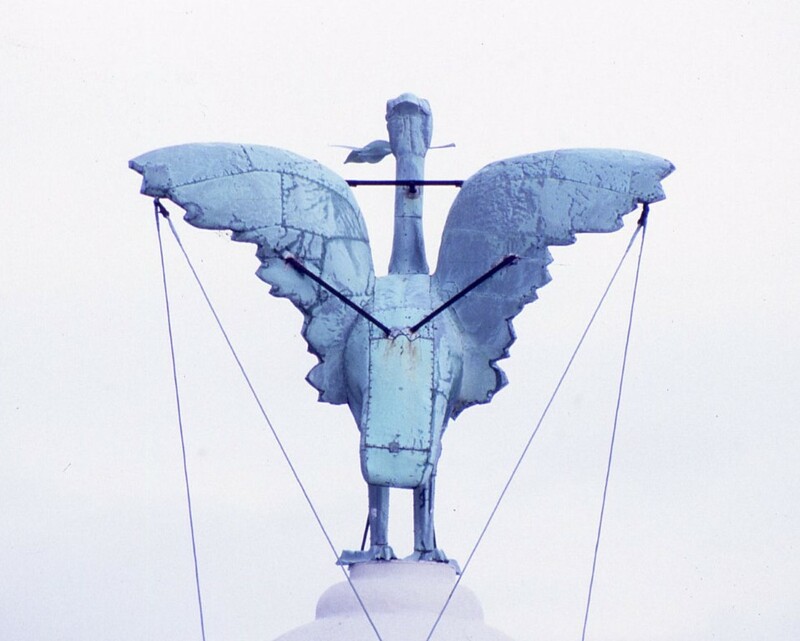 The Liver Birds have the names of Bertie and Bella. The male, Bertie looks over the city and the female, Bella looks to the sea.The Royal Liver Building is now, however, only the joint-fourth tallest structure in the City of Liverpool, having been overtaken in height by West Tower, Radio City Tower and Liverpool Cathedral. (I was lucky enough to go on a visit up to the roof many years ago). After a fairly short lunch stop we were off again and headed up beside the Liverpool Parish church which is dwarfed by other larger buildings around. 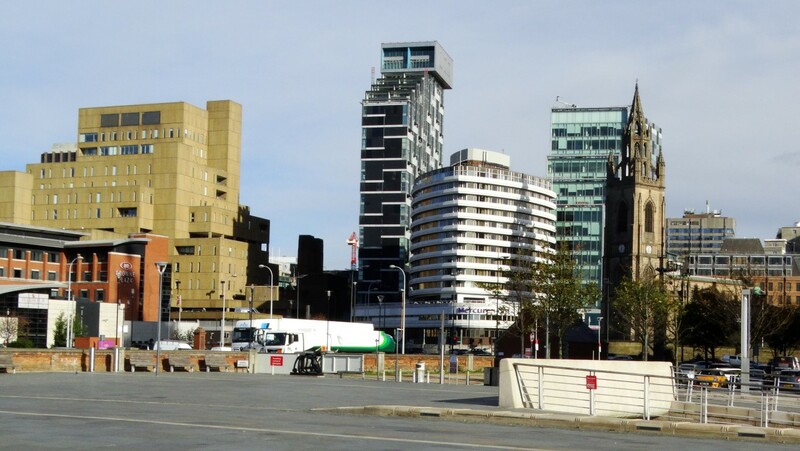 It is hard to believe that this was once the tallest building in Liverpool. There has been a church on the site since 1257AD and originally the church grounds stretched down to the River Mersey. In 1361 when Liverpool was struck down by a plague, the churchyard was use as a burial ground. 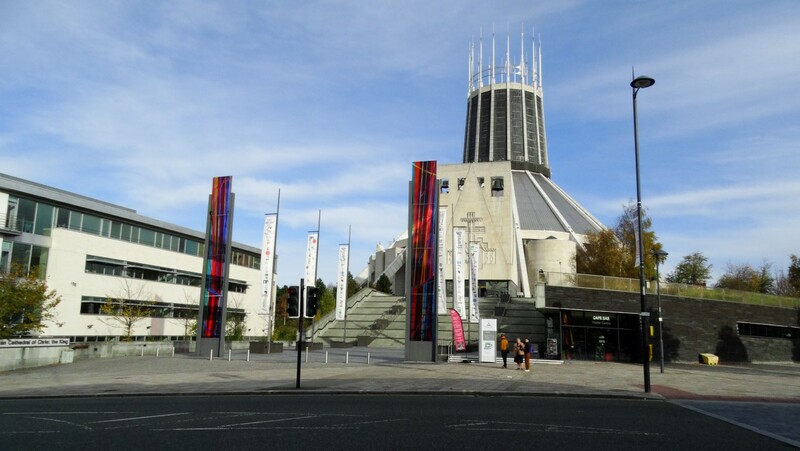 By 1699 the population of Liverpool had swelled to 5000 the church was too small for the congregation and a second church, St Peter’s was built. With many improvements made to the church, a spire was added in 1746 but sadly this fell into the nave during a church service in 1810 killing twenty five worshippers. During December 1940, a German air raid destroyed the main body of the church and rebuilding of it was only completed in 1952. Heading through the rather quiet City Centre we soon passed the Town Hall which is a grade I listed building and has been described as one of the finest surviving 18th-century town halls. The present building dates from 1749 and stands close to the site of an older town hall. Nearby in Castle Street, the architecture was of note with a variety of building styles. We now dived in through dark side streets passing the famous Cavern Club in Mathew Street as well as many night club type premises where Beatles music was blaring out. The shopping area of Liverpool was also fairly quiet as it was the period after the January sales. Our group thankfully stayed close together and we left the centre via Mount Pleasant en route to the Metropolitan Cathedral. The biggest ascent of the day was up the steps into the calm of the Cathedral. We wandered around but on such of gloomy day, the light from the stained glass didn’t display its best. There was a peace and calm about the place with sombre music being played on the organ. Back out in the outside world the present day hit us. We headed now along Hope Street with the view ahead dominated by the large Anglican Cathedral. A crowd had gathered on one street where the Liverpool FC Coach was parked up with the player’s just visible inside. We now headed down a side street into the heart of the Georgian Quarter. This area had seen mixed fortunes from homes of wealthy merchants to an area heavily bombed during World War II and almost an area of poverty before investment had brought the area now much sought after. 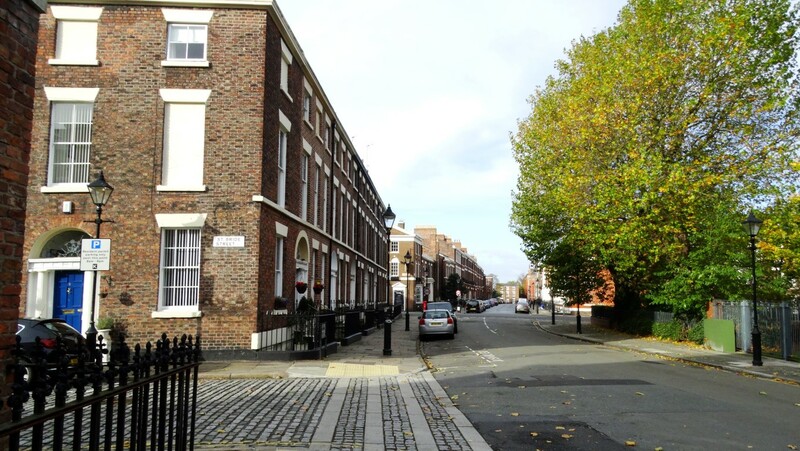 In Falkner Street I showed the group where the BBC series ‘A house through time’ had been filmed. Nearby Canning Street displayed some grand architecture worthy of stopping to admire. We were now close to the Anglican Cathedral but today didn’t venture inside as most of the group had been there before. Designed by Giles Gilbert Scott the Cathedral was built in stages between 1904 and 1978 and today it is the longest cathedral in the world and has one of the tallest church towers in the world. 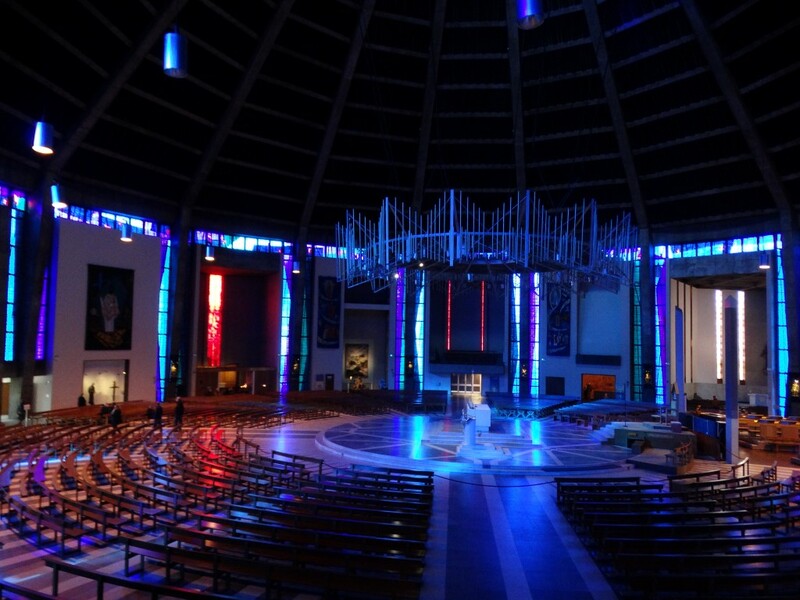 During my reconnoitre I spent some time inside the Cathedral which included a trip up the tower which gives an excellent view over Liverpool. The Cathedral is almost unique in having ecclesiastical constables until this very day. Only three other cathedrals in the United Kingdom still have Cathedral constables. We didn’t visit the interior of the Anglican Cathedral during our walk but I did make time to take a leisurely wander around the Cathedral during my reconnoitre including a visit up the tower. 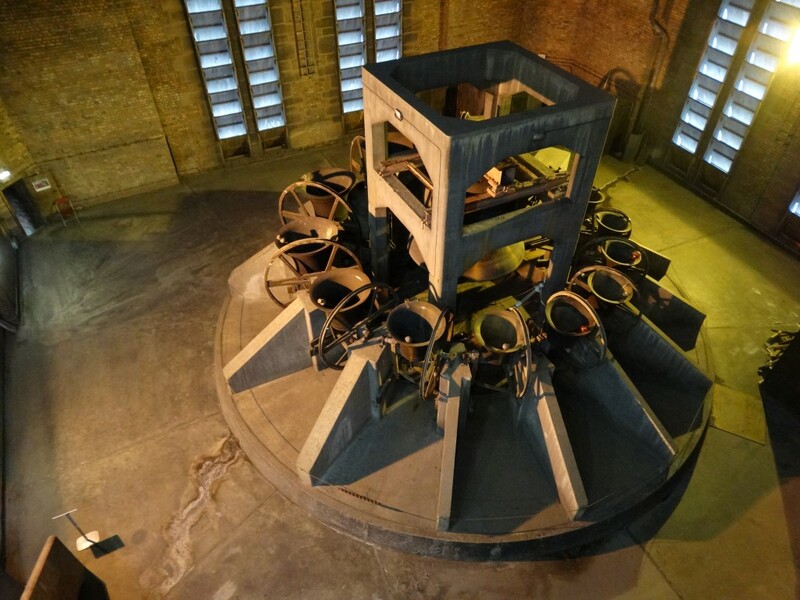 A lift takes you part way up before climbing up several staircases overlooking the belfry. 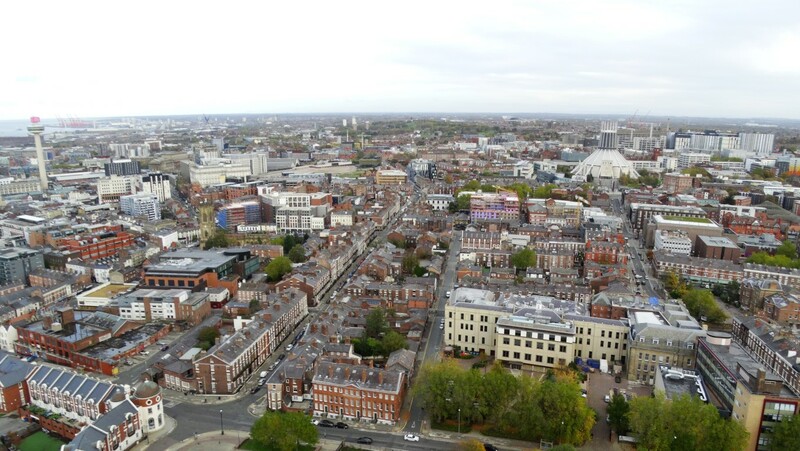 There is an excellent view over Liverpool and beyond from the top of the 331 foot tower. This was one of several photographs I took on the reconnoitre and looks over the City Centre. 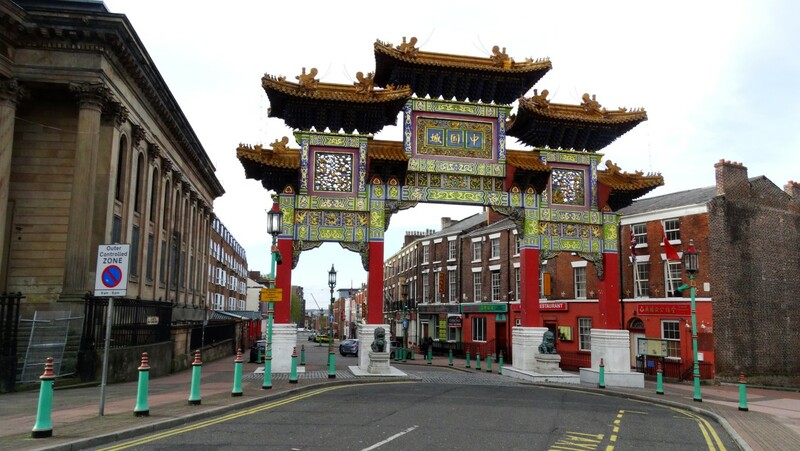 We carried on to Nelson Street at the heart of the Chinese Quarter. The Chinese Arch at the north eastern end is the largest such arch outside China. We continued through the area lined with Chinese restaurants that you could have been mistaken as being in that country. We next skirted around to the southwest of the Anglican Cathedral before heading through the heart of a deserted Toxteth. This community has the unfortunate reputation of being associated with the riots but today is really a sleepy corner of Liverpool. Beyond we entered Princes Park which we crossed and after following a couple of roads were soon back in Sefton Park. We made for a cafe close to the Eros Statue. A short walk afterwards led us back to the cars. 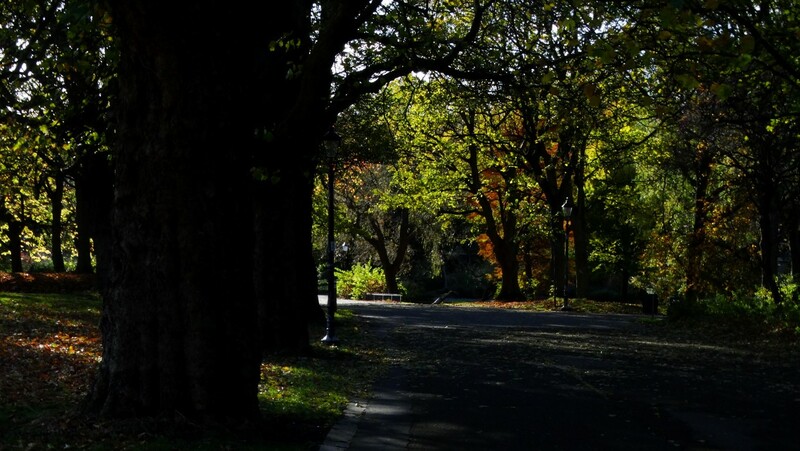 Late afternoon sunlight through the trees in Sefton Park as seen on the reconnoitre but when we walked this at the end of our walk we had to contend with gloomy skies and bad light.